It's December 10th; Happy National Lager Day! 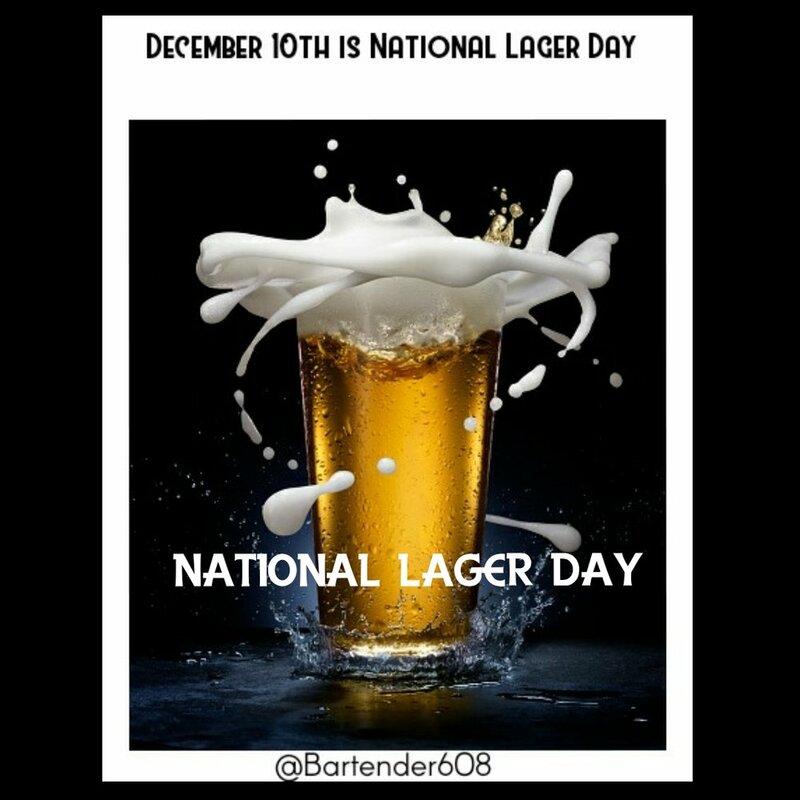 It's #December10th; Happy #NationalLagerDay! Hit up a Mom & Pop pub or pick up a 6-pack of a local #brewed one today to enjoy yourselves a frosty one. 🍺 Lager is #fermented and conditioned at slow, low, and cooler temperatures. 🍺 Lager roots from the German word of #lagern meaning "to store." 🍺 Lagers aren't just light in color; they come in lines of #bronze, to #gold to #amber depending on the ingredients & #brewingtechniques. 🍺 #DrinkWisconsinbly/#DrinkResponsibly when knocking back any spirited beverages please. 🍺 #Beer is the 3rd most consumed beverage in the world behind #water and #tea and #ChinaMoon still hasn't a thing for beer. 🍺 Remember this and other fun #drinkingholidays by ordering your Bartender 608 #CocktailCalendar today!